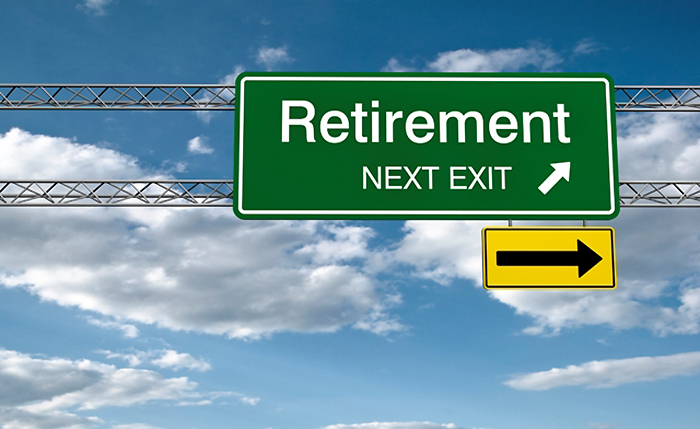 The two major types of IRAs are traditional IRAs and Roth IRAs. Both allow you to contribute as much as $5,500 in 2017 (unchanged from 2016). You must have at least as much taxable compensation as the amount of your IRA contribution. But if you are married filing jointly, your spouse can also contribute to an IRA, even if he or she has little or no taxable compensation, as long as your combined compensation is at least equal to your total contributions. The law also allows taxpayers age 50 and older to make additional "catch-up" contributions. These folks can contribute up to $6,500 in 2017 (unchanged from 2016). Your filing status is single or head of household, and your MAGI is $62,000 or less, your traditional IRA contribution is fully deductible. Your deduction is reduced if your MAGI is more than $62,000 and less than $72,000, and you can't deduct your contribution at all if your MAGI is $72,000 or more. Your filing status is married filing jointly or qualifying widow(er), and your MAGI is $99,000 or less, your traditional IRA contribution is fully deductible. Your deduction is reduced if your MAGI is more than $99,000 and less than $119,000, and you can't deduct your contribution at all if your MAGI is $119,000 or more. Your filing status is married filing separately, your traditional IRA deduction is reduced if your MAGI is less than $10,000, and you can't deduct your contribution at all if your MAGI is $10,000 or more. For 2017, if you are not covered by a retirement plan at work, but your spouse is, and you file a joint tax return, your traditional IRA contribution is fully deductible if your MAGI is $186,000 or less. Your deduction is reduced if your MAGI is more than $186,000 and less than $196,000, and you can't deduct your contribution at all if your MAGI is $196,000 or more. What happens when you start taking money from your traditional IRA? Any portion of a distribution that represents deductible contributions is subject to income tax because those contributions were not taxed when you made them. Any portion that represents investment earnings is also subject to income tax because those earnings were not previously taxed either. Only the portion that represents nondeductible, after-tax contributions (if any) is not subject to income tax. In addition to income tax, you may have to pay a 10 percent early withdrawal penalty if you're under age 59½, unless you meet one of the exceptions. You must aggregate all of your traditional IRAs--other than inherited IRAs--when calculating the tax consequences of a distribution. If your filing status is single or head of household, and your MAGI for 2017 is $118,000 or less, you can make a full contribution to your Roth IRA. Your Roth IRA contribution is reduced if your MAGI is more than $118,000 and less than $133,000, and you can't contribute to a Roth IRA at all if your MAGI is $133,000 or more. If your filing status is married filing jointly or qualifying widow(er), and your MAGI for 2017 is $186,000 or less, you can make a full contribution to your Roth IRA. Your Roth IRA contribution is reduced if your MAGI is more than $186,000 and less than $196,000, and you can't contribute to a Roth IRA at all if your MAGI is $196,000 or more. If your filing status is married filing separately, your Roth IRA contribution is reduced if your MAGI is less than $10,000, and you can't contribute to a Roth IRA at all if your MAGI is $10,000 or more. You have reached age 59½ by the time of the withdrawal. Qualified distributions will also avoid the 10 percent early withdrawal penalty. This ability to withdraw your funds with no taxes or penalties is a key strength of the Roth IRA. And remember, even nonqualified distributions will be taxed (and possibly penalized) only on the investment earnings portion of the distribution, and then only to the extent that your distribution exceeds the total amount of all contributions that you have made. You must aggregate all of your Roth IRAs--other than inherited Roth IRAs--when calculating the tax consequences of a distribution. Note: You can have both a traditional IRA and a Roth IRA, but your total annual contribution to all of the IRAs that you own cannot be more than $5,500 for 2017 ($6,500 if you're age 50 or older).